No guest author this week, just wishing you each and every one a happy, healthy Thanksgiving. Next week I’ll be joined by my friend, best-selling author Caroline Clemmons who will share her special Christmas memories with us. Be sure to stop by. And a Happy & Healthy Thanksgiving to you and your family, Lyn. 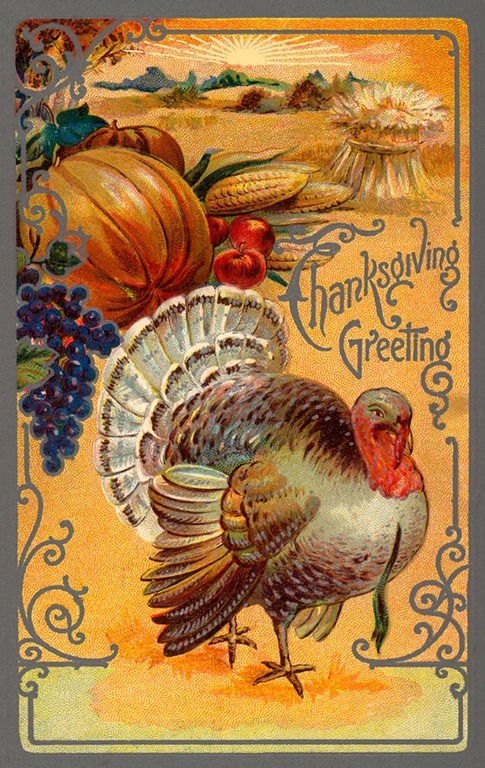 Love the pretty, old-fashion style Thanksgiving picture. Thank you, Cheri. I hope you are safe and warm where you are. The winter storm moving across the country is a bad one.